Have you ever seen someone get ready to perform a squat and everything looks good at first then you notice they have a very pronounced forward lean and when they come up out of their squat it looks more like a modified good morning. 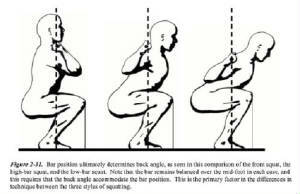 For a lot of squatters, one fairly common problem they want to fix is the forward lean of their squat. The more upright you can position yourself while squatting the better it is for your squat. Some squatters will naturally have more of a lean than others. For example squatters with longer femurs will lean forward more during a squat and lifters with longer femur to torso ratios will also have more of a natural lean to compensate for balance. 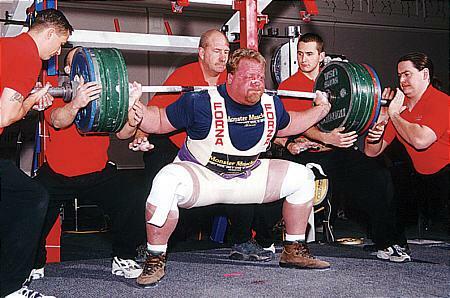 So why is bending too far forward on your squat bad for you? Well the main reason is it places way too much stress on the lower back. Not only does this take out two of the most important muscles involved in the squat, the hips and glutes, but it is a surefire way to lead to injury. By not properly using the glutes and hips the body will try to compensate by moving the weight up with the lower back, causing the forward lean. Too much of this and can you say ouch!!! Let’s look at a few things that someone can do to improve the forward lean of their squat. 1. 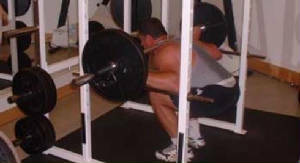 Learn to use a wider stance- This is one of the simplest ways for some to improve their forward lean when squatting. This is especially a good one for taller squatters or squatters with wider legs. The narrower a stance is the harder it is to maintain balance causing a forward lean. A wider stance also allows your hips to get down much easier. Your feet should be shoulder width apart or wider, anything closer and you may run into awkward balance issues. A wider base makes for a sturdier base. 2. Develop more hip strength- Weak hips and tight hips go hand and hand. When hips are tight your center of gravity shifts forward causing you to lean forward during your squat. Strong hips help push your knees out and give you strength to push your hips forward on the way up. Learn to make friends with the abductor machine. Sometimes viewed as a “girly” machine, it will help make a man out of your squat. 3. 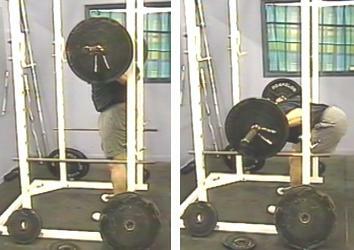 Check your bar placement-Bar placement can play a big role in the forward lean of a squat. If the bar is placed too low on the back this will cause a forward lean. Conversely the same thing can happen with a bar placement that is too high. A very high bar placement shifts a lot of the work to the lower back. If your lower back muscles are not up to par, the body will help compensate by leaning forward. 4. 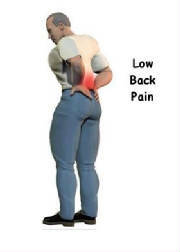 Strengthen your lower back- This is an issue that can’t be stressed enough for the heavy lifts. A strong lower back will not only improve your squat but has carryover benefits if you deadlift. Your back muscles are what naturally help you stay upright so the stronger they are the more beneficial it will be when you have an additional heavy load on your back. Lower back training should be done twice a week. Train lower back on your squat day and then again 3-4 days later. The key on squat day is to train lower back after squatting. If you train lower back before squatting you’re only weakening it for heavy squatting and could hurt yourself. Good Mornings, hyperextensions, pull thrus, and weighted back arches are all good exercises you could use. 5. Build up those glutes and hamstrings-Sure squatting works the entire legs but heavy full squatting calls into play mostly the muscles of the glutes and hamstrings. The stronger your hamstrings and glutes are the more stability you will have on decent and the more power you will have driving out of the hole. When your glutes and hamstrings activate more it is much easier to drive upwards on your squat. 6. Work your calves-Calf training is often overlooked for squat stability. Ankle flexibility plays a major role in balancing during squatting and strong calves help with ankle flexibility. Another reason to work the calves is they hold up the entire leg. No matter how big and strong your quads, hamstrings and buttocks are, they won’t do to well if they are sitting on top of a pair of puny weak calves. Have you ever seen a fat person with small weak looking calves? If leaning forward on the squat is a problem for you practice these techniques. Not only will it save your back in the long run but once you get the proper technique your squat will increase also because you can use the proper muscles and mechanics more effectively.